Although the wave of mass protests spreading through the Arabic-speaking countries may have begun to recede, it has left a wide-ranging impact on the region. Three authoritarian regimes have collapsed, and the rest are experiencing varying degrees of duress. This emerging political and strategic landscape has major implications for Israeli national security. Regional turmoil has effectively ruled out a major advance in Arab-Israeli diplomacy, enabled Ankara and Tehran to expand their influence, continued the decline of U.S. influence, and emboldened extremists. Though economically and militarily strong for its size, Israel is a small state with modest resources, limited diplomatic clout, and few friends in its neighborhood. As such, it cannot hope to influence its environment in the Middle East. Unable to shape the world beyond its borders, Jerusalem must be prepared to meet all security threats that could potentially emerge from the surrounding Arab-Islamic world. It, therefore, fears political unrest, which brings a degree of uncertainty to the Middle East political and strategic landscape. The Israeli public is well aware of what can happen when sweeping domestic change engulfs its neighbors. In 1979, a pro-Western and Israel-friendly Shah was replaced by the hard-line anti-Israel theocrats of the Iranian Islamic Revolution. Israelis are no strangers to the fact that political upheaval in the Middle East can have major strategic implications. In particular, domestic changes led to sweeping foreign policy reorientation in two important regional powers that were once Israel's allies. 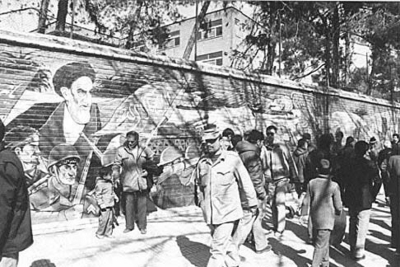 The 1979 Islamic Revolution in Iran replaced a pro-Western monarchy friendly to Israel with a militant Shiite theocracy. In Turkey, once a major strategic ally of Israel, successive electoral victories by the Islamist Justice and Development Party (AKP) since 2002 have moved this pivotal state into the anti-Israel camp. Arabic-speaking countries lag well behind the rest of the international community in civil liberties, political rights, education, gender equality, and economic productivity. This deplorable state of affairs is the root cause of discontent and frustration fueling the recent wave of protests. Absent a liberal-democratic political culture, however, mass mobilization in pursuit of political change is unpredictable. Numerous outcomes are possible, few of which portend well for regional stability. The most feared outcome is an Islamist takeover. Israeli prime minister Benjamin Netanyahu has frequently warned of the danger that "Egypt will go in the direction of Iran." Radical Islamists are the most powerful and well-organized opposition force in most Arab states (due in part to the protection afforded by mosques) and the most likely beneficiaries of regime change whether it comes peacefully or violently. Revolutionary regimes everywhere tend to display warlike behavior in the immediate years after taking power; in the Middle East, they are almost certain to do so. The process of democratization can also have unpredictable effects if secular, liberal political forces are weak or divided. Lebanon's 2005 Cedar Revolution, led by pro-Western political forces, ended just four years later when the government was taken over by the Shiite Islamist group Hezbollah and its allies. The Muslim Brotherhood, whose commitment to democracy is dubious at best, is the most powerful opposition force in Egypt today. Even in the event that a freely elected government comes to power, the historical record shows that states undergoing a democratic transition are more war-prone than autocratic regimes. Political turmoil can lead to the collapse or severe weakening of the state. In a failed state, the government is unable to control security over all its territory and has difficulty meeting the basic needs of the population in terms of health, education, and other social services. The harbingers of such a scenario are in Libya and Yemen. As states lose their grip over their territory, and their borders become more porous, armed groups and terrorists have greater freedom of action. In addition, the enormous quantities of conventional (and non-conventional) arms typically stockpiled by autocratic regimes can fall into the wrong hands. Following the fall of Libyan leader Mu'ammar Qaddafi, Libyan SA-7 anti-air missiles and antitank rocket-propelled grenades have reportedly reached Hamas terrorists in Gaza. Since many Arab countries have ethno-sectarian minorities with strong transnational ties to foreign powers (Lebanese Shiites and Iran, for example), the eruption of civil war can readily invite external intervention. Because of their diversity, Iraq and Syria carry the greatest potential for domestic conflicts in the Middle East to escalate into regional conflagrations. Even those Arab regimes that manage to stave off serious unrest are likely to be preoccupied in the near future parrying domestic challenges. The foreign policy decisions of weakened autocrats (none have emerged stronger from the turmoil) can be nearly as difficult to predict reliably as those of newly democratic governments. Faced with growing internal challenges, both have strong incentives to divert public attention from domestic problems by confronting Israel. As pro-U.S. Arab regimes stumble and fall, Washington's influence in the Middle East is on the decline. This is partly due to the Obama administration's deliberate "multilateral retrenchment … designed to curtail the United States' overseas commitments, restore its standing in the world, and shift burdens onto global partners" and partly to its confused, contradictory, and inconsistent response to unfolding events in the Middle East. The administration was far quicker to call for the resignation of Egyptian president Husni Mubarak—a staunch U.S. ally for three decades—than that of Syrian president Bashar Assad, whose role in fomenting terrorism against the United States and its allies is rivaled only by the Iranian regime. Washington's turn against Mubarak was viewed throughout the region (approvingly or not) as a betrayal of a loyal friend. The U.S. criticism of Riyadh's military intervention in support of the Sunni ruling al-Khalifa dynasty in Bahrain in March 2011 raised eyebrows in Arab capitals, which viewed the emirate's Shiites as Iranian proxies. Many in the region were also puzzled by the U.S. abandonment of Qaddafi, who had cooperated with the West by giving up his weapons of mass destruction (WMD) in 2003. The lesson learned by Middle Eastern regimes—the Iranian mullahs in particular—is that it is better to hold on to WMD programs. Qaddafi's fate has become a cautionary tale for tyrants. By contrast, the brutal suppression of the local opposition by the anti-U.S. regimes in Tehran and Damascus elicited only mild and very late expressions of criticism from the Obama administration. Washington's July 2011 decision to open a dialogue with Egypt's Muslim Brotherhood has further eroded its credibility as an astute political player and credible ally. Alongside the U.S. retreat from Iraq and Afghanistan, the Obama administration's proclivity for betraying friends and appeasing enemies, such as Syria and Iran, strengthens the perception of a weak and confused U.S. government. Israelis ask whether Washington is capable of exercising sound strategic judgment. The animosity displayed by the Obama administration toward Israeli prime minister Netanyahu reinforces a growing consensus among U.S. friends and foes alike that "Obama does not get it." The Arab upheavals have facilitated the expanding influence of non-Arab Iran and Turkey. The need to focus on domestic problems will likely reduce the ability of Arab states to project power beyond their borders and combat the growing Iranian and Turkish regional influence. Both Tehran and Ankara, which are aligned with radical Islamist forces, have welcomed the Arab uprisings and have openly incited Egyptian demonstrators to topple Mubarak. An Egyptian government beleaguered with domestic problems has little energy to focus on countering Iranian and Turkish aspirations and influence. Both vie for regional hegemony and are interested in gaining popularity among the Arab states by vocally criticizing Israel. Moreover, growing influence by the Muslim Brotherhood in Egypt suits Tehran's and Ankara's ideological inclinations. Indeed, Egypt's interim military government quickly undertook a rapprochement with Iran. Ankara also encourages Sunni Islamist opposition to the Alawite-dominated Assad regime in Syria, Tehran's main ally. The instability in Syria has renewed to some extent the historic Turkish-Persian rivalry, signaling once more the dilution of Arab power and decreased Western influence. Syria could potentially become a battleground for Turkish and Iranian proxies. The End of the "Oslo Process"
Diminished U.S. influence in the region does not bode well for prospects of a diplomatic breakthrough between the Jewish state and its neighbors, who have only grudgingly come to accept Israel as a fait accompli that cannot be eradicated by force. Washington has historically played an important role in bringing Arab actors to the negotiating table, narrowing differences during negotiations, and reducing Israeli anxieties in taking risks for peace. However, the Obama administration is demonstrably less willing and able than its predecessor to pressure Arab leaders into compromising with the Israelis and less willing to compensate Jerusalem for concessions that entail security risks. The U.S. financial crisis further limits the administration's capacity to provide economic inducements to both sides. While extremists have been emboldened by Washington's perceived departure from the region, pro-U.S. Arab leaders have come to conclude that U.S. support is ephemeral—hardly worth the political risks of recognizing Israel and alienating citizens who have been fed a steady diet of anti-Zionist and anti-Semitic propaganda since grade school. Democratization will not change this—on the contrary, newly elected leaders will prefer keeping Israel at arm's length so as to curry public favor. According to an April 2011 poll, 54 percent of Egyptians favor annulling their country's peace treaty with Israel. Clearly, Israel's peace treaties with Egypt and Jordan are under great strain as the anti-Israel domestic forces become more influential and vocal. Whatever the outcome of the escalating conflict in Syria, no government in Damascus is likely to be strong enough politically to make peace with Israel. It is equally unlikely that the Palestinian Authority (PA) will do so. The Palestinian leadership is divided between Hamas, which took over Gaza in June 2007, and the PA leadership in the West Bank. Additionally, the PA has not reconciled itself to the idea of Jewish statehood as evidenced by recent statements by its leaders, notably Mahmoud Abbas's U.N. speech. With chances of bridging Israeli-Palestinian differences growing increasingly remote, the PA has defied U.S. calls to return to the negotiating table, opting instead to press its bid for statehood at the U.N.
As for the Israelis, many fear that they cannot necessarily rely upon the Obama administration's diplomatic, economic, or military support in the event that their country is attacked or finds it necessary to preemptively strike at imminent threats to their security. Not surprisingly, few are eager to make concessions that magnify those threats. As the region looks less receptive to peace overtures, Israelis must prepare for greater regional isolation. Arab political upheaval has deflected attention away from Israel's most daunting security threat—a nuclear Iran. Despite four rounds of modest economic sanctions by the U.N. Security Council and frequent diplomatic scolding, the regime continues to develop a nuclear weapons capability. The international community is unwilling to forcibly block the Islamic Republic from achieving this goal, which most experts expect to happen in an estimated two to three years. Unlike its predecessor, the Obama administration is unlikely to launch U.S. air strikes to destroy Iranian nuclear facilities and may be reluctant to support an Israeli military attack to eliminate the threat. A nuclear Iran would have far reaching strategic and political implications for the region. Although opinions differ as to whether the country's ruling mullahs can be deterred by Israel's nuclear arsenal, few doubt that possession of nuclear weapons will embolden Tehran and its Palestinian and Lebanese proxies committed to Israel's destruction as well as Iranian-backed Shiite movements in Iraq and in the Persian Gulf states. Located along the oil-rich Persian Gulf and Caspian Basin, a nuclear Iran would be ideally poised to dominate this strategic energy sector, particularly if hitherto pro-U.S. Central Asian states gravitate toward Tehran. In addition, Iran's successful pursuit of nuclear weapons is sure to encourage similar ambitions by its main regional rivals—Turkey, Egypt, and Saudi Arabia. A multipolar nuclear Middle East would be a strategic nightmare. While the U.S. decline in world affairs in general and in the Middle East in particular might prove temporary, it is very real for the near future. This in turn has had a negative impact on Israel's deterrence, which relies not only on its military power and ability to defeat its Arab neighbors but also on the perception that Washington will come to Jerusalem's aid should the need arise. The perceived closeness between Jerusalem and Washington is an important component of the Jewish state's deterrent posture, and the Obama administration has cast doubt on this long-standing foundation. Jerusalem can, of course, find some comfort in the fact that the Middle East upheavals have underscored yet again its position as Washington's most reliable regional ally, but the Obama administration has consistently courted U.S. enemies there at the expense of long-standing allies. While the military forces of neighboring Arab states would be no match for the Israel Defense Forces (IDF) should revolutionary upheaval somehow unite them in war against the Jewish state, political turmoil outside Israel's borders is already beginning to produce a variety of more intractable security threats. Shortly after Mubarak's ouster, Egypt's interim military government declared its intention to honor the country's international commitments (i.e., the 1979 peace treaty with Israel), and most experts believe that an elected successor will do the same if only to preserve current levels of U.S. military and economic aid. However, the cold peace between Cairo and Jerusalem that existed under Mubarak is sure to become even chillier. In order to defuse nationwide protests, Egypt's military establishment formed an alliance with the Muslim Brotherhood, the only well-organized political force outside the ruling government. The Brotherhood's growing political power in post-Mubarak Egypt and greater international acceptance can only be of deep concern to Jerusalem. Under pressure from the Brotherhood, Egypt's interim government has reduced restrictions on traffic to and from Gaza, circumventing the Israeli blockade of the Hamas-ruled enclave. This will strengthen Hamas, an offshoot of the Egyptian Brotherhood committed to Israel's eradication, and encourage it to adopt a more aggressive posture toward the Jewish state. In September 2011, the authorities allowed an angry mob to lay siege to Israel's embassy in Cairo, forcing the evacuation of its ambassador. Equally disturbing is the Egyptian reluctance to maintain security in Sinai, which borders Israel and Gaza. Since the fall of Mubarak, the Egyptian-Israeli natural gas pipeline has been sabotaged six times. This forced the Israelis to rely on more expensive diesel and fuel oil to generate electricity, costing the country an average of US$2.7 million a day during July and August. As the Eilat attacks last August indicate, Sinai may well emerge as a major anti-Israel terrorist base. The Israeli military regards Jordan, with which Jerusalem signed a 1994 peace treaty, as providing strategic depth since the two country's long border remains comparatively secure. So far, King Abdullah has been successful in riding the regional political storm with minimal damage to his rule and without compromising his relations with Israel. However, if Iraq or Syria should fall victim to an Islamist takeover or a breakdown of the state, the Jordanians may find it difficult to insulate themselves from the contagion. Should King Abdullah be deposed, hostile forces would be able to straddle the Tel Aviv-Jerusalem-Haifa triangle holding most of Israel's population and economic infrastructure as Jerusalem is only twenty miles from the Jordanian border. In Syria, the Alawite-dominated Assad regime is struggling to suppress predominantly Sunni opposition forces. In May 2011, thousands of ostensibly Palestinian protesters bused in by the authorities on "Nakba Day"—the anniversary of Israel's founding—stormed into the Golan Heights, attacking IDF soldiers with stones. Four were killed and dozens wounded by Israeli fire. The Syrians are "intentionally attempting to divert international attention away from the brutal crackdown of their own citizens," said an Israeli military spokesman. This action suggests that Assad is not averse to confronting Jerusalem as a means of redirecting public anger away from his regime. The West Bank and Gaza have not yet experienced major domestic turmoil. While a renewed campaign of terror against Israel would be very costly for the Palestinians, the weak and illegitimate PA president Abbas (whose term of office expired in January 2009) is under increasing pressure from Hamas to up the ante in combating the Jewish state. A Palestinian strategic miscalculation leading to new round of violence is always a possibility that Jerusalem cannot ignore. Political turmoil in the Arab world is a warning bell for Israel to bolster its defenses. Israelis will find it necessary to station larger forces along their borders to defend against the array of security threats that can arise from political turmoil in neighboring countries. Jerusalem must also update its war-fighting scenarios and expand the IDF to be able to deal with a variety of contingencies, including a large-scale war. Since force building is a lengthy process, appropriate decisions on force structure and budget allocations are required as soon as possible. Jerusalem must insist on defensible borders in any future peace negotiations with the PA and Syria. Loose talk about technologies that favor Israel's defensive capabilities and the decreasing military value of territory and topographical assets ignores the fact that contemporary technological advantages are fleeting. Strategists and militaries around the world still confer great importance to the topographical characteristics of the battlefield. The history of warfare shows that technological superiority and better weapons are not enough to win a war. The increased threat of rocket and missile fire from "islands of insecurity" across their borders will require the Israelis to improve both passive protection and active defense. Passive protection refers to construction of shelters in homes, educational institutions, and centers of commerce and entertainment. Active defense systems prevent incoming rockets and missiles from hitting or destroying a target. Israel's mobile Iron Dome batteries can intercept short-range rockets while its David's Sling system under development can intercept longer-range rockets and missiles. Jerusalem is working to integrate these lower-tier missile defense systems with components of its upper-tier missile defense—the upgraded versions of Patriot Advanced Capability interceptors and the Arrow-2 and the Arrow-3 interceptors—into a single national command and control center. Budgetary constraints and strategic shortsightedness have slowed development of this multilayered missile defense system. Fortunately, Israel's flourishing economy can afford larger defense outlays to meet its national security challenges. The leadership should be courageous enough to explain to its people that changing circumstances require some austerity measures that might freeze the standard of living for a while. Israeli society has shown remarkable resilience and spirit in protracted conflict and might respond positively to a well-crafted call from the political leadership. Such an address must be accompanied by efforts to reduce the growing gaps between rich and poor in Israeli society in order to maintain social cohesion. Whether incumbent Arab regimes stick to power, collapse, are replaced by new dictatorships, or democratize, Israel's near abroad is likely to remain in political flux in the coming years with major strategic and security ramifications. With Washington's influence in decline and two rising regional powers—Iran and Turkey—eager to challenge Jerusalem, the new Middle East promises to be considerably more challenging to Israeli security than the old. Efraim Inbar is a professor of political studies at Bar-Ilan University and director of the Begin-Sadat (BESA) Center for Strategic Studies. The Tikva Fund generously supported this research. Arab Human Development reports, U.N. Development Program, New York, accessed Oct. 7, 2011; R. Stephen Humphreys, Between Memory and Desire. The Middle East in a Troubled Age (Berkeley: University of California Press, 1999). The Jerusalem Post, Feb. 8, 2011. Stephen M. Walt, "Revolution and War," World Politics, Apr. 1992, pp. 321-68. Edward D. Mansfield and Jack Snyder, "Democratization and the Danger of War," International Security, Summer 1995, pp. 5-38. For an analysis of this phenomenon, see Robert I. Rothberg, ed., When States Fail: Causes and Consequences (Princeton: Princeton University Press, 2004). Daniel W. Drezner, "Does Obama Have a Grand Strategy? Why We Need Doctrines in Uncertain Times," Foreign Affairs, July/Aug. 2011, p. 58. Reuters, Jan. 31, 2011; Ari Shavit, "Obama's Betrayal: As Goes Mubarak, So Goes U.S. Might," Ha'aretz, Aug. 10, 2011. The New York Times, Mar. 14, 2011. Ibid., May 4, 2011; The Jerusalem Post, May 8, 2011. "Egyptians Embrace Revolt Leaders, Religious Parties, and Military, as Well," Pew Global Attitudes Project, Washington, D.C., Apr. 25, 2011. The Washington Times, Feb. 3, 2011; The Jerusalem Post, Aug. 10, 2011. Efraim Inbar, "The Rise and Demise of the Two-State Paradigm," Orbis, Spring 2009, pp. 265-83. James M. Lindsay and Ray Takeyh, "After Iran Gets the Bomb," Foreign Affairs, Mar./Apr. 2010. Geoffrey Kemp and Robert E. Harkavy, Strategic Geography and the Changing Middle East (Washington: Carnegie Endowment for International Peace, 1997), p. 113. Al-Ahram Online (Cairo), Oct. 3, 2011. Globes (Rishon Le-Zion), Oct. 2, 2011. The Jerusalem Post, Aug. 18, 2011. Amos Gilad, director of policy and political-military affairs at Israel's Defense Ministry, CNN, Sept. 22, 2011. The Daily Mail (London), May 16, 2011. Martin Van Creveld, Technology and War. From 2000 B.C. to the Present (New York: The Free Press, 1989), pp. 311-20; Keir A. Lieber, War and the Engineers. The Primacy of Politics over Technology (Ithaca: Cornell University Press, 2005), pp. 155-8. The Washington Post, May 12, 2011. Defense News (Springfield, Va.), June 20, 2011. Related Topics: Arab-Israel conflict & diplomacy, Middle East patterns, Middle East politics | Efraim Inbar | Winter 2012 MEQ receive the latest by email: subscribe to the free mef mailing list This text may be reposted or forwarded so long as it is presented as an integral whole with complete and accurate information provided about its author, date, place of publication, and original URL.